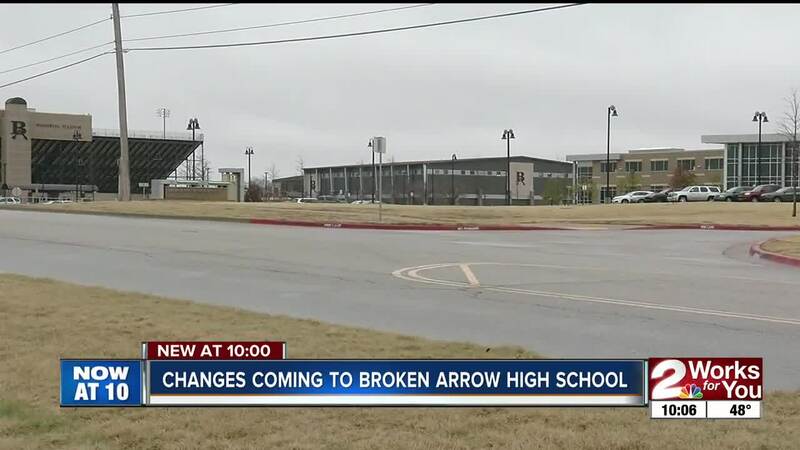 BROKEN ARROW, Okla. -- Broken Arrow is a step closer in redesigning their high school after the Board of Education accepted the recommendations from the High School Configuration Task Force. The recommendation comes more than years in the making of trial and error ideas. A few years ago two committees, Visioning Task Force and High School Configuration, suggested to transform the Broken Arrow Freshman Academy into the second high school, but the community did not respond positively to that idea. "I was very hopeful that they had a different plan other than a second high school," said Allison Redick, a Broken Arrow parent. The task force spent several years brainstorming, speaking with other districts around the nation, and researching career trends over the next several years. They used this research to come up with three main recommendations: career pathways, early college, and Innovation Center. The early career exploration would start as early as sixth grade. This method supports a more individualized education, versus a one size fits all traditional high school setting. The school would reconsider the bell schedule to be more flexible, seek and expand business partnerships to give students opportunities for internships, and allow students to to adjust or change pathways. Students would have to take the state required core classes, but the school would provide career-themed sequences of courses. The district recently partnered with Mullin Plumbing in an apprenticeship program where students can earn school credit and money. The career pathways would be split into two phases. The first phase includes health/environmental/animal sciences, computer science/cyber security/E-communications/E-commerce, and pre-manufacturing/pre-engineering. Phase two is public safety and services/ JROTC/police and fire/political science/education, business/hospitality/marketing/public relations, creative arts/music production/graphic design/visual and performing arts/marketing and blogging, digital/programming/coding, fitness/physiology/pre-physical therapy/health promotion/nutritional science. The second part of the recommendation is early college. School leaders say this saves parents money, create an individualized education, and build relationships with local colleges. Broken Arrow already has a 2 by 2 program where students can graduate from Broken Arrow with diploma and Associates degree from NSU or TCC. The third part of the recommendation is the Innovation Center, a $21 million dollar project approved from a 2015 bond. The center would offer state of the art labs, plus indoor and outdoor spaces for projects. In all of the proposals, they would re-purpose the Agriculture building and develop additional STEM space on the high school campus. The recommendation is for the school years 2019 to 2027, where a new bond issue will be voted on at that time.